BOSTON -- Long before they were called selfies, Karl Baden snapped a simple black and white photo of himself. Then he repeated it every day for the next three decades. The 64-year-old Cambridge resident grumbles at comparisons to the pouty face, self-congratulatory portraits that now fill Instagram and Facebook. But he recognizes the ubiquity of the selfie has helped raise the profile of the project, which has been exhibited in art galleries in Boston, New York City and elsewhere over the years. "If it wasn't for the selfie craze, I'd probably be slogging along in anonymity as usual," Baden joked this week. "Which is sort of what I had expected." What makes the project work is that it reflects a number of universal themes, from death to man's obsession with immortalizing himself in some way, said Howard Yezerski, a Boston gallery owner who has exhibited the project on two occasions. "It's both personal and universal at the same time," he said. "He's recording a life, or at least one aspect of it that we can all relate to because we're all in same boat. We're all going to die." Robert Mann, a New York City gallery owner that exhibited Baden's work on its 10th anniversary, says he's impressed with how Baden has stuck to his process. "Watching Karl age (gracefully) in front of the camera has been an honor," he said. "The act itself is like brushing your teeth," he said. "I'll just take the picture and get on with the rest of my day. It's not a holy ritual or anything." "I have to turn all these variables into constants so that I'm not distracting from the aging process," Baden explained. 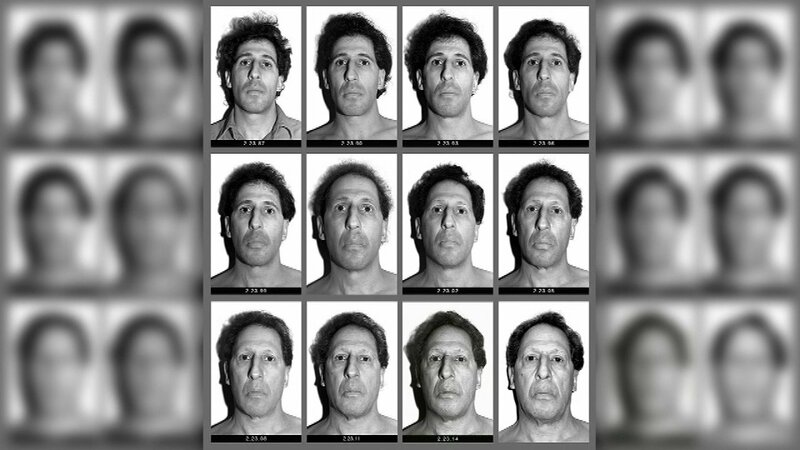 Approaching 11,000 photos, the changes in Baden's appearance over time don't appear dramatic. But in 2001, Baden underwent chemotherapy to treat prostate cancer and became noticeably thinner. And there's been just one day over the past 30 years where Baden admits he neglected to take a photo: Oct. 15, 1991. "It was a dumb moment of forgetfulness," he said.